What makes The Dark Side of the Moon one of the most famous albums ever made in the whole world? Its high critical acclaim by like everybody writing about rock music? Its huge commercial success, remaining in the charts for 741 (!!) weeks from 1973 to 1988? Its cover, which became one of the most iconic images in rock history? 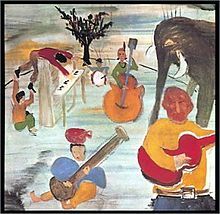 Or the fact that this album strikingly described the changing mood of that time, leaving the spirit of the sixties (which had died in Altamont) behind and facing the Vietnam war and Watergate? Whatever it is, with the release of this album in 1973 Pink Floyd became the biggest progressive rock band in the world. Pink Floyd gradually came into existence after architecture students Roger Waters and Nick Mason started to play in some bands together. Later on they were joined by Richard Wright and art student Syd Barett. As a successful psychedelic band (releasing some hit singles and debut album The Piper at the Gates of Dawn), they formed the British antithesis of American acts like Jefferson Airplane and 13th Floor Elevators. However, Barett’s mind became a little too psychedelic for the rest of the band to deal with, so he was gradually replaced by David Gilmour. Subsequently, Pink Floyd started to evolve towards a progressive rock band with long, experimental tracks and philosophical lyrics on the albums Atom Heart Mother and Meddle. The band also became famous for it’s innovative album artwork and elaborate live gigs, so in fact there was only one thing missing which would define Pink Floyd as the biggest prog rock act in town: a concept album. It was Roger Waters who came up with the idea of making an album about things that will drive people into insanity, inspired by the mental problems former band member Barrett suffered from. They came up with subjects like time, greed, war, rush, death,… and originally gave the album the title Dark Side of the Moon: A Piece for Assorted Lunatics. 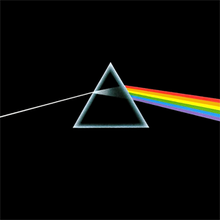 They released it as The Dark Side of the Moon and the impact of the album was enormous, as music critics quickly recognized the brilliance of it’s concept. But the album also became a huge commercial success, selling millions of copies, especially after ‘Money’ became a rare hit single for the band. The reason for this commercial success prolly is the fact that this album lacks some extended instrumental experiments that was typical for Floyd’s preceding (and following!) albums. That’s why it’s also the perfect starter for the uninitiated Floyd ones. Each side of the orignal LP consists of a continuous piece of music, introduced and ended by a heartbeat, in that way reflecting the human life. It starts with the combined track ‘Speak to Me/Breathe’, stressing the primary elements of the life one lives. It contains samples from a lot of other tracks to follow on the album, like the clocks of ‘Time’ (which has a reprise of ‘Breathe’), the cash registers of ‘Money’ and the laughter of ‘Brain Damage’. 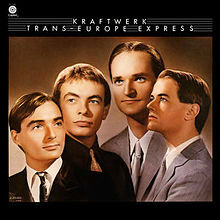 Then we move on to the instrumental ‘On the Run’, with the synthesizers taking you to the rushy scene of an airport, pointing at the anxiety of flying. At the beginning of track 3 you are completely shaken awake by the alarm clocks telling you it’s ‘Time’, followed by a fantastic instrumental intro of Mason’s drum solo and Waters’ bass picking, lasting for about two minutes. This track especially shows how beautiful the voices of Richard Wright and David Gilmour (which are kinda similar), can be harmonised together. The lyrics tell you how time can get a grip on your existence when you underestimate its speed. It’s brilliantly followed by the return to solitude in the end of the song, with the reprise of ‘Breathe’. The logical next step is death, touchingly portrayed with ‘The Great Gig in the Sky’, closing side 1. Guest singer Clare Torry screams unintelligible lines, representing the ascending spirit of a death person. She received £30 for her contribution back then, but after some suing in 2004 she succeeded to get some settlement concerning the royalties of the song. 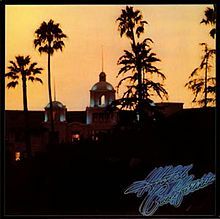 Side 2 opens with the single ‘Money’, well-known for it’s recognizable intro (sounds of cash registers supported by a bass riff) and the legendary transition from sax solo to guitar solo. It became the biggest commercial success of the album, which is quite ironic as it’s an accusation against greed and consumerism. It flows over into ‘Us and Them’, the longest track on the album and also containing some sax solos. The song is about conflict in all it’s possible forms, war as well as personal relationships. What’s next is some form of medley like the one closing The Beatles‘ Abbey Road. It starts with another instrumental one, ‘Any Colour You Like’, which fades over into ‘Brain Damage’, one of my personal favorites. Roger Waters takes the lead vocals here, singing ‘and if the band you’re in starts playing different tunes’, pointing to former member Barett, who would sometimes just start playing another song in the middle of a performance with the band at the top of his mental problems. The climax of he album is the last song, ‘Eclipse’, with it’s loud melody telling us what we people all have in common. What characterizes the album throughout all the tracks are the different voices that were mixed into it. These are all extracts from interviews Roger Waters took with all kind of people who were present in the studios at the times of recording, ranging from studio staff to other artists recording in the Abbey Road studios. The laughter on ‘Brain Damage’ for example was contributed by road manager Peter Watts (father of Naomi). Paul McCartney was also interviewed, but his voice was never used as his answers were considered as ‘trying too hard to be funny’. Lol. Enjoy this absolute ‘must have heard before you die’.